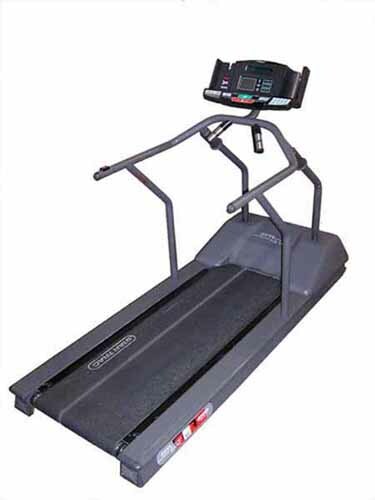 The Star Trac TR4500 treadmill has patented Impact Absorption System®; it absorbs the impact on the ankles, knees, hip and back. The TR4500 provides not only hundreds of pre-programmed training selections, but also the Personal Trainer Studio™ mode, which allow the personal trainers to customize programs to suite their clients, and make for easy storage. The TR4500 features Dynamic Heart Rate control™ and Polar™ Telemetry Heart Rate. The built in holder for towel, water bottles and personal stereo is useful.